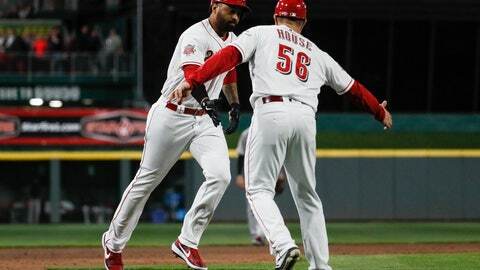 CINCINNATI (AP) — Manager David Bell had an unfamiliar vantage point — a booth far away from the field — to watch his struggling Reds end their slump at long last. Reds: Right-hander Hunter Greene had Tommy John surgery. The Reds announced last week that Greene, the second overall pick in the 2017 June draft, had torn the ligament and would need surgery. … Joey Votto was hit in the ribs by a pitch from Chen in the sixth. He stayed in the game and ran the bases, and was replaced at first base the next inning. Benavides said Votto was fine.